Product prices and availability are accurate as of 2019-04-07 13:35:03 EDT and are subject to change. Any price and availability information displayed on http://www.amazon.com/ at the time of purchase will apply to the purchase of this product. 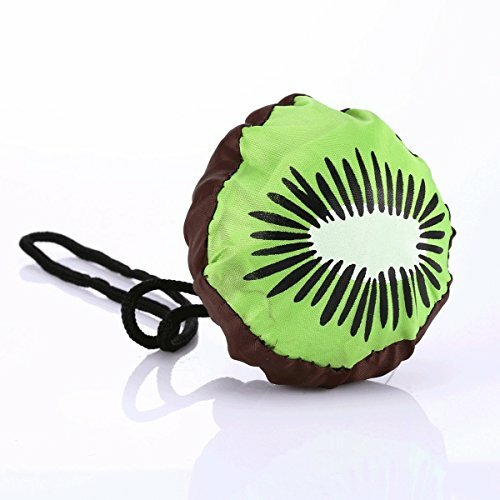 1) Size: 15" x 15", when scrunched into the fruit and veggie storage pods only occupy about 2 or 3 inches of space. 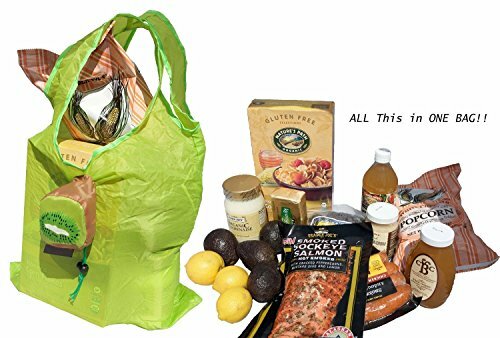 2) 5 pack, 5 different bags out of the 8 different colors and fruit/veggie shopping bag styles shown in the pictures above. 3) Every bag includes a handy wrist strap for easy carrying while shopping. A sliding closure tab is included to lock the bag tightly in it's pod when it's in storage and not in use. 4) Made by high quanlity polyester, absolutely safe and harmless. 5) No smell, compare with other shopping bag, these shopping tote bags will not have that bad "off-gassing" smell. 6) Package included: 5 pack bag (random color). 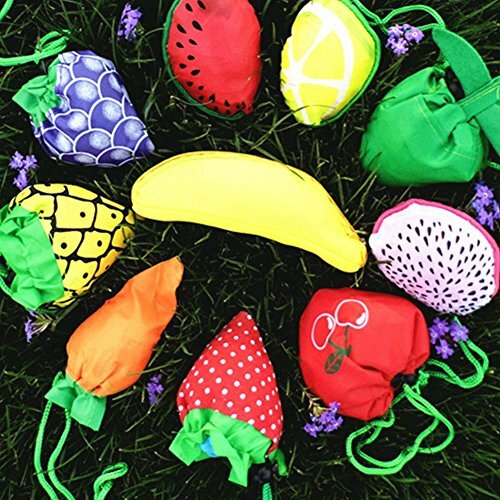 Fun Colors, attractive, high quality fruit and veggie style Shopping Bags. 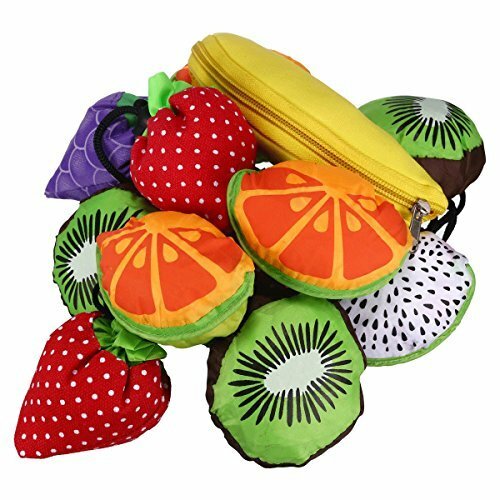 Kids Love Them 5 Pack, 5 different bag styles out of the 8 possible fruit & veggie styles/colors shown: Green Apple - Grapes - Watermelon - Strawberry - Pineapple - Carrot - Corn - Kiwi Lightweight, Eco-friendly bags that scrunch down into the attached fruit/veggie pod for easy storage Handy, convenient bag sizes are 15in x 15in, each bag - not counting the handles area, each bag holds up to 20 lbs per bag Strong, tough, durable nylon polyester that is machine washable - 100% MONEY-BACK SATISFACTION GUARANTEE! !